My desktop has recently decided to downgrade my max volume. I don't know why. I haven't changed a thing that I know of, but the end result is that while the AC is on, I can't watch movies or YouTube clips. I run Windows 7 Ultimate. All software settings have been maxed out; I have external speakers with dedicated power supply also maxed out; connecting the speakers to an iPod gives me ear splitting volume. I've also tried headphones, but with the exact same issue. Noise cancelling headphones help but only because they cancel the background noise; the overall volume is still very low. Any idea what I'm missing? Are there any third-party software that I can install to increase the volume output? In this excerpt from Answercast #16, I show the location of Windows 7 advanced volume controls to adjust the sound through your speakers. I don't know of any third-party software that's gonna solve this. And I'm a little concerned about your having mentioned the AC. I actually don't know if you mean AC as in connected to AC power, or AC as in the air conditioning being too loud. Regardless, there is a catch. 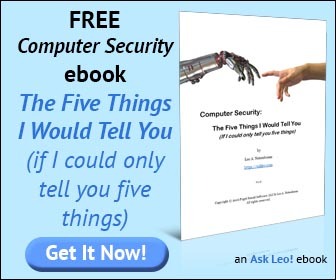 There is something that happened in Windows 7 (it may actually have been in Windows Vista) where there are more volume controls than you might be aware of. The thing to do is to go ahead and click on the Speaker icon to get the volume control for the system. That will give you the normal slider, that I'm sure you have moved all the way to the top. Below that should be an item that says Mixer. Click on that and you will get an interface that shows you not only the system's sound (or the device speakers, the device volume), but you will see that several of the applications currently running have their own volume slider. That also impacts the volume being output by that application or by those individual applications. I have my speakers set to their maximum volume. I have the system sounds set to their maximum volume. I have sound that may be produced by mail programs set to its maximum volume. But, I see that Audacity (my audio recording program with which I'm currently recording this podcast) has its volume set to around 20%. So when it plays back, it's going to play back very quietly compared to other applications. And that's the point... that's the point of this interface. Rather than have a global volume control for the system, you can actually control the volume that's being output by individual applications. The trick is that this clearly was "kinda sorta" hidden. So the very first thing I would suggest you do is to click on that Mixer button. Make sure that all of the applications that show up there (when you're trying to play back a video or do whatever else you're currently having trouble with) have their volumes to their maximum in this interface. Some applications will actually use this as their volume control. If you have an application that has its own volume control, changing that may reflect here. On the other hand, some applications will not. You have the volume control from the application itself. You have the Windows provided volume control for the application. You have the system volume control. And then, you may of course have an additional volume control on your speakers or stereo system. So there are lots of opportunities to turn things down. You need to check all four of those locations and make sure everything is turned up as high as possible before you start worrying too much about something physically not working. Next from Answercast #16 - Can I clone everything on my hard drive except the operating system? The volume indicator has disappeared from my system tray, how do I get it back? The volume indicator allows you to control the sound output by your computer. It can disappear, and the option to enable it has moved around a little. Where did my volume icon go? Windows tries to manage the taskbar icons for you in a way that sometimes causes some to go missing. I reinstalled Windows and now my sound doesn't work - how do I fix it? After performing a clean install of Windows it's not uncommon for some devices like sound to no longer work. The solution is fairly easy. 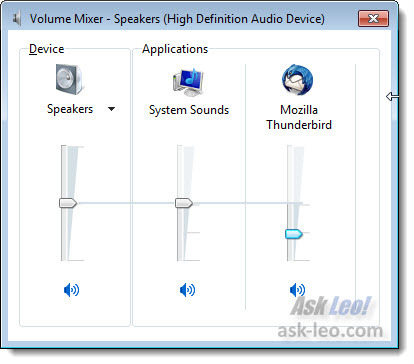 Some devices can be configured for louder volume by another mechanism. Open the Control Panel, then select "Hardware and Sound". Select "Sound". A multitabbed user form will appear. Select the "Recording" tab, and select the device, such as the microphone, in this example. Then, click on the "Properties" button. Another multitabbed user form will appear. Click on the "Custom" tab. On some devices, you will see a check box labeled "Microphone + 20 dB Boost". Check this box, then click "OK". Maybe this will solve your volume issues.